A program of works relating to Luigi Nono, featuring music by Italian composers as well as Nono’s aesthetic forebears in the Franco-Flemish school. With eight voices, showcasing the virtuosity of the Ekmeles vocalists in a range from the highest soprano to basso profundo. Nono’s own Sara Dolce Tacere will be set in relief by Giacinto Scelsi’s Tre Canti Sacri, and Salvatore Sciarrino’s Tre Canti Senza Pietre. Medieval works by Josquin and Ockeghem round out the program. The evening will end with Miranda Cuckson & Christopher Burns, who will perform Luigi Nono’s “La lontananza nostalgica utopica futura”, or “The nostalgic, utopian, future far-distance”. This Madrigal will feature “wanderer,” the recorded music of Gidon Kremer on solo violin, 8 magnetic tapes and 8 to 10 music stands. 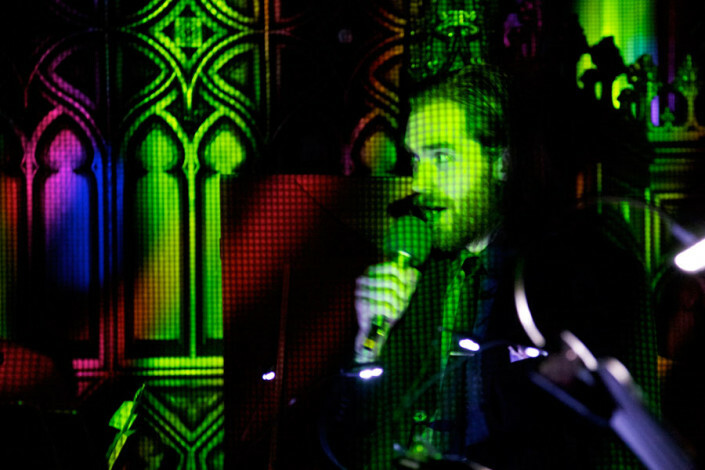 This duo’s recording, of the same title, was declared Best Recording of 2012 by the New York Times. Feb 17, 2016 - 7pm A program of works relating to Luigi Nono, featuring music by Italian composers as well as Nono’s aesthetic forebears in the Franco-Flemish school. With eight voices, it will showcase the virtuosity of the Ekmeles vocalists in a range from the highest soprano to basso profundo. On December 12, counter)induction celebrates the life and music of American composer Lee Hyla (1952-2014). Hyla was a founding board member of c)i and a guiding and supportive presence. His deeply cherished voice -- bold, tender, explosive, and profound, with a sly wit -- leaves a lasting influence on an array of composers and performers. The program will feature music from throughout his career, including the New York premiere of his penultimate work, "Wave". 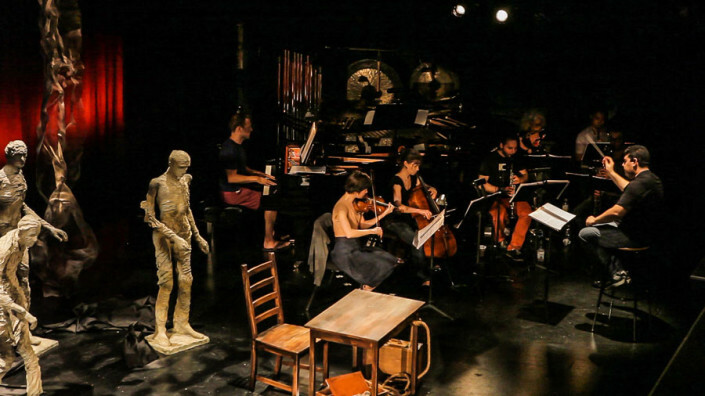 May 01, 2016 - 1:00pm Fonema Consort examines contemporary approaches to the voice, revealing that phonology and semantics are powerful tools to develop expressive musical possibilities. 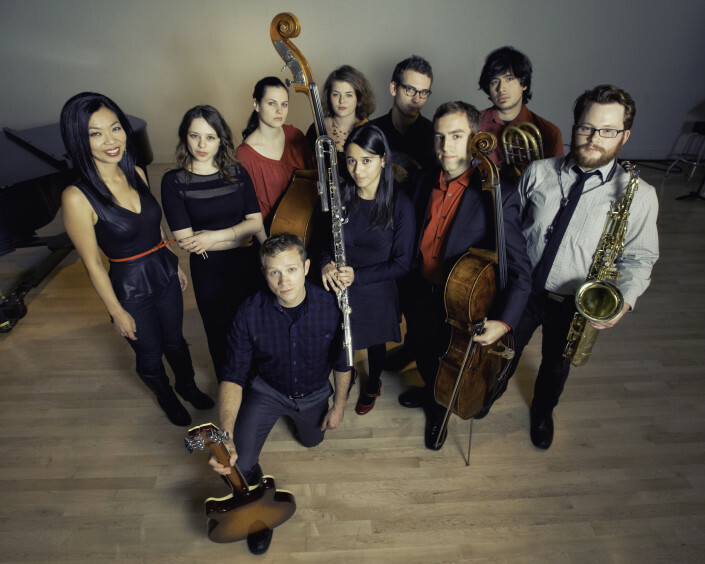 The Chicago-based group is joined by violist Miranda Cuckson. 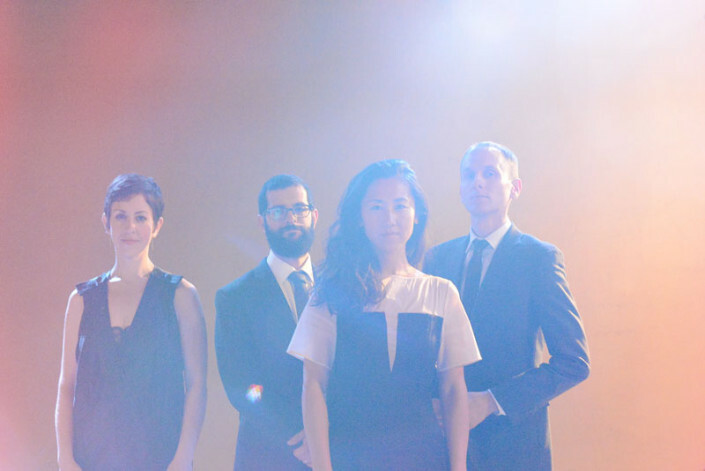 Virtuoso violinist Miranda Cuckson joins percussion and piano quartet Yarn/Wire for the world premiere of a work from polymath composer, improvisor, and trombonist George Lewis. Nunc, directed by NS Curator Miranda Cuckson, performs an evening of chamber works, including two world premieres - a sextet by Diego Tedesco and a work for voice and string trio by Jonathan Dawe, featuring soprano Mary Mackenzie. 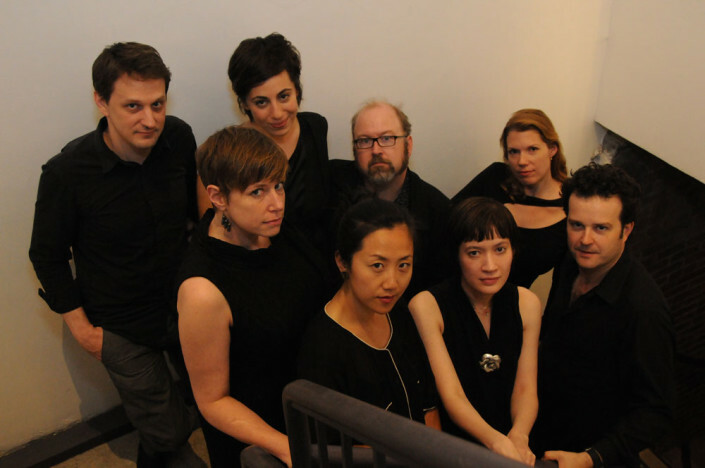 Also featured will be the New York premiere of an octet for strings by David Fulmer, Elliott Carter’s “Four Lauds” played by Cuckson, and Michael Jarrell’s “Eco III” for soprano and harp. Closing the program will be Iannis Xenakis’ “Aroura” for 12 strings (1971), featuring a new mashup of NY artists.